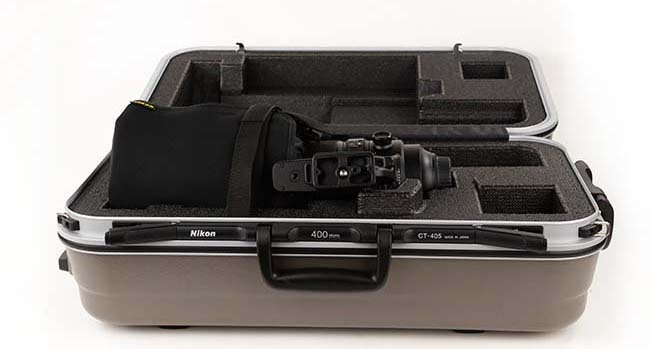 The lens comes packed inside a substantial suitcase. In late May I flew from Cologne, Germany to pick up a new Nikon AF-S NIKKOR 400mm f/2.8E FL ED VR and flew it to Guatemala to test and evaluate this remarkable lens. Even though I attend Photokina every two years, I must admit I had no idea what to expect (other than that this prime telephoto lens is supposed to take good photos). 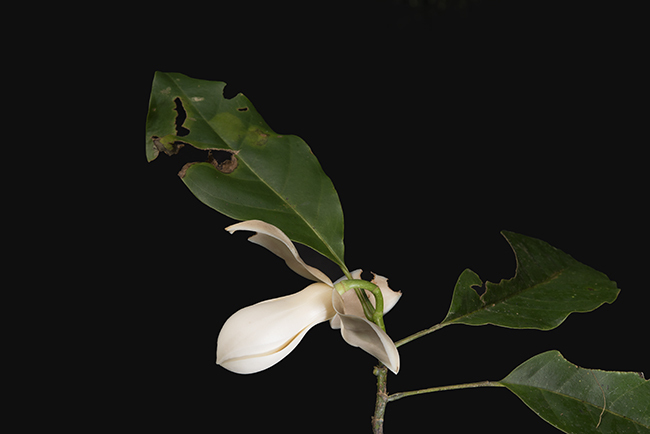 Flower photography in the giant (tall) Neotropical trees of the mountains and forests of Guatemala. 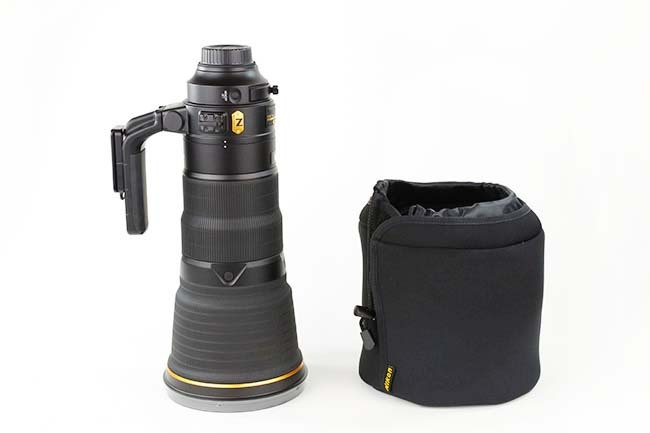 Most prime telephoto lenses are used for wildlife photography or bird photography. In Guatemala most of the animals are deep in dense jungle-like rain forests. So a telephoto lens that is useful on a safari in Africa is not realistic in most parts of Guatemala. Water-birds, yes, since they are on islands or along the shore. But you are not going to get a shot of a jaguar or puma with a telephoto lens (in 50 years in Central America I have seen two jaguars and no pumas, and in both instances with the jaguars there was no time to get a photograph). Our primary interest is the innovative concept of showing all the range of digital photography equipment which can be used for flower photography. Of course we already use macro lenses of all sizes and shapes. 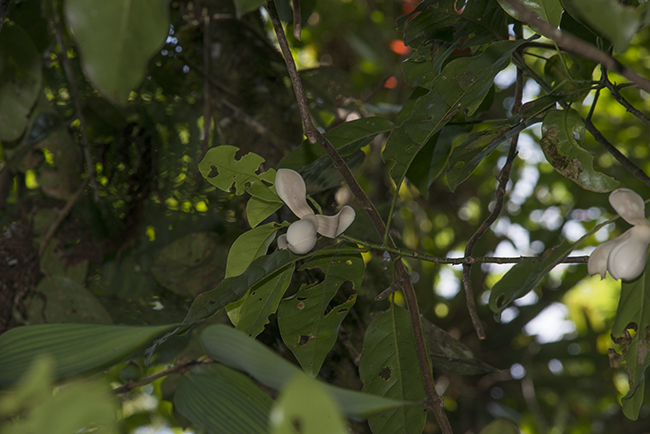 But many of the trees in Guatemala are so high that it takes a 400mm, 500mm, or 600mm lens to get a good shot of a single flower. 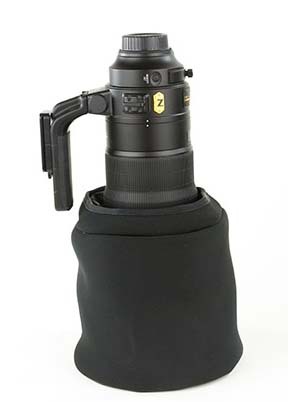 We have used our 200mm lenses for decades, and finally decided that a 400mm would be essential. As soon as funding is available we hope to obtain a 300mm and a 500mm as well, since there are hundreds of trees whose flowers we wish to photograph. 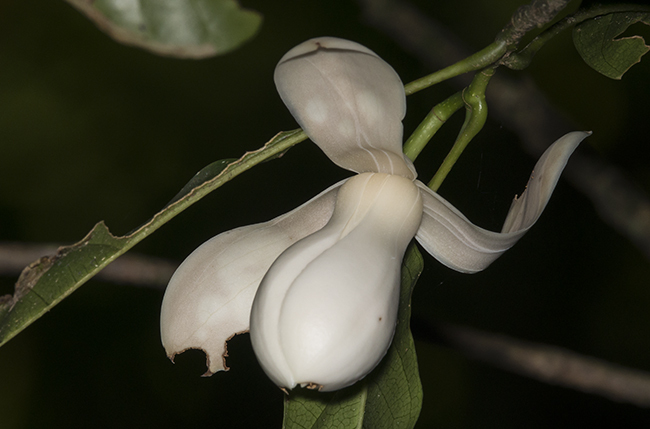 There are two or three species of Magnolia (or Taluma) in Guatemala. All grow in very high elevations, which requires a several hour hike up steep mountain trails (after driving with a 4WD vehicle to the end of the road, as no roads climb the final heights).Taken with the Nikon D800E with a 60mm lens. 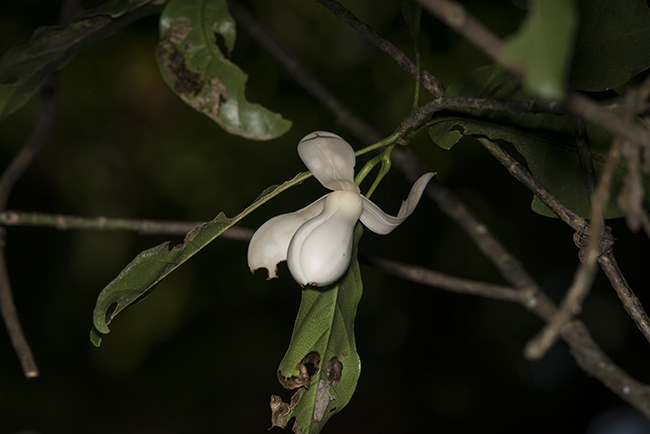 Photograph of Magnolia, using the the Nikon D800E with a 200mm lens. Photograph of Magnolia quetzal, using the the Nikon D800E with the Nikon AF-S NIKKOR 400mm f/2.8E FL ED VR lens. Note that the image quality at this distance is as good as using the Nikon 60mm close-up lens at a close distance! Croped photograph of Magnolia, using the the Nikon D800E with the Nikon AF-S NIKKOR 400mm f/2.8E FL ED VR lens. Yes, we do have the 1.4x tele-extender but we wanted to test the basic Nikon AF-S NIKKOR 400mm f/2.8E FL ED VR lens first, but itself. We will provide lots more information, results, documentation, and evaluation details in the coming months. We have spent many years in the swamps and streams and lakes of Guatemala, so our primary interest is in bird photography of water birds. Indeed Nicholas Hellmuth and FLAAR spent five years creating a national park to protect Lake Sacnab and adjacent Lake Yaxha in the 1970’s. Plus for several decades we led tour groups to remote jungle areas so people from the Americas, Europe and Asia could learn about the remarkable plants, animals, and Maya ruins. Zoom lenses compared with prime lenses? That is four separate prime lenses replaced by one zoom lens. Unfortunately the original Canon EF 100-400mm f/4.5-5.6L IS USM was so badly designed and engineered, that it was nearly useless (floppy jerky focus, that is, when it decided it would do focus at all!). We have a Nikon AF-S NIKKOR 28-300mm f/3.5-5.6G ED VR lens, but since it is Made in Thailand I am a bit unsure it is viable for serious use. All the kit lenses of cheap low-bid Nikon camera kit packages were utter junk: they fell apart or otherwise failed to function after just a year or so. Thailand is a nice country, but the kit lenses of Nikon should be an embarrassment to www.nikonians.org. But when I visit with their booth at any trade show, they clearly wish to avoid criticizing any Nikon product whatsoever. I was really disappointed at such a clearly Nikon-centric group. I would have expected an honest appraisal and an appreciation when a person took the time to point out something which could be improved at Nikon Inc. I was Leica-centric for decades until Nikon became good enough to tempt me. I have enjoyed using Nikon DSLR and Nikon point-and-shoot cameras for years. I have lived in Japan for six months, indeed I was the equivalent of a visiting research professor in digital imaging at the Japanese national museum of ethnography in Osaka. The first FLAAR Reports on scanners and software and digital printing were written there, circa 1996-1997, in Osaka. But we write reviews and evaluations which are to assist photographers, students of photography, and lay people who seriously want to learn about photography (by avoiding the wrong equipment). Sometimes a Canon is great (if a G1X or G16 camera often it is awful, pathetic actually). Sometimes Nikon is great (but often if a kit lens made in Thailand, it is worse than awful). And we would never consider any Leica digital camera made in the early DSLR years since both Nikon and Canon have so much more experience. We no longer use Hasselblad medium format digital backs since Phase One is so much better. That said, we will be testing the Nikon AF-S NIKKOR 28- 300mm f/3.5-5.6G ED VR lens against Nikkor prime lenses in the months to come. What about aftermarket lenses, for Canon or Nikon? Should you use a Tamron or Sigma lens instead of a Nikkor lens? One of our student photographers bought a Sigma telephoto lens (about 4 years ago) because it was cheaper. He quickly found that the focus was rather slow. 30 years ago my girlfriend from Austria bought a Tamron lens (100mm or 200mm). The photos were so awful it was embarrassing. Hopefully Tamron lenses are better today. But my preference is not to use an after-market lens unless they are Schneider or Rodenstock. Sorry Zeiss, your lenses made in Germany 30 and 40 years ago (for Hasselblad cameras) were awesome, but my experience with Zeiss lenses made in Japan for 35mm DSLR cameras today has not yet convinced me these were that much better than an original Nikon or Canon lens. What is the difference between a true digital camera review and a paid advertisement? If the reviewer gets a kickback, or sales commission, a logical question is whether the camera review is really a tricky kind of advertisement ? 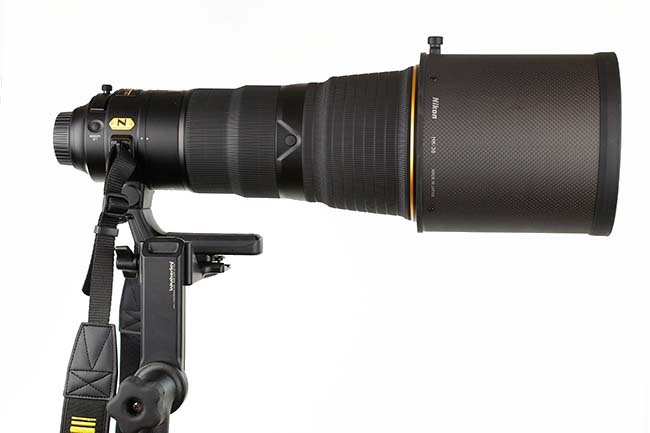 For example, anyone who has written a good review of the original Canon EF 100-400mm f/4.5-5.6L IS USM, clearly was not aware of the nearly endless quirks of this close to useless piece of junky engineering. In other words, this tends to raise the question of how many (but not all) reviews are simply for money, money, money. It is helpful that people who dedicate their time to evaluating cameras and who also have a family to support. Fortunately I have no wife and kids who need money and my girlfriends do not need substantial allowances either. So we do not have to receive sales commissions. The original plamps of Wimberley (new versions are better). The original versions were such engineering junk that they fell apart quickly. Plus the clamps themselves did not hold the plant adequately. We filed a complaint (and a year later the new models came out, so having a truthful review from FLAAR benefited everyone). After we found out how useless the original Wimberley clamps were, we bought another brand. They broke quickly and were frankly junk as well. In other words, a true, honest, ethical review should mention what does not function, what falls apart, and what is not recommended. First posted June 1, 2015. Sandwich board for recyclable furniture! www.digital-photography.org is part of the FLAAR network © 2001-2017. If you notice a bad link, missing photos, misspellings, please report to the webmaster: Updates on wide format printers from 2007 onward are contained in the FLAAR Report. We update these reports constantly, so check out the over 187 titles which are now available.